This classic Graham Hawkes built vessel has been lovingly maintained and comes with a lifetime of happy memories. 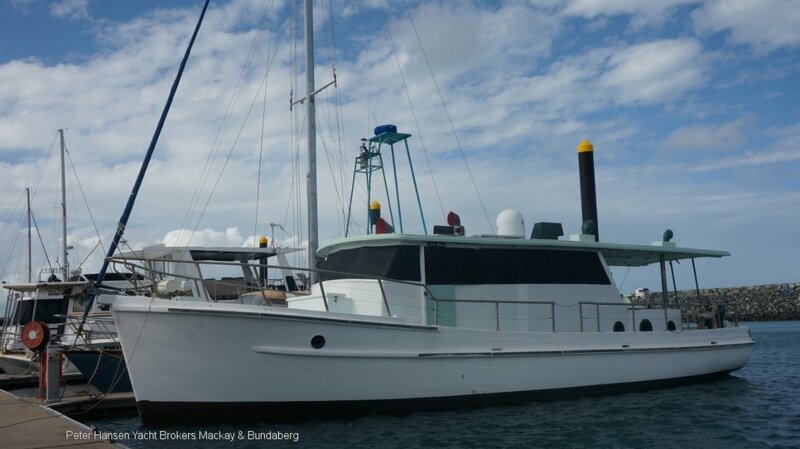 Powered by twin 120hp Ford Lees diesel engines, new batteries July 2018,13kva genset, radio, GPS, radar, sounder, sleeps 8 in 6 single bunks aft and 1 queen fwd, full headroom, toilet, shower, stove, fridge, microwave, new tender, BBQ. She is now ready to start a new chapter with new owners to make new memories.